President Trump begins his takedown of Adam Schiff. And it’s because Schiff poked the tiger one time too many. Schiff is a Democrat weasel. Or as the president called him, a “political hack”. And now Schiff will find out what resources a self-made billionaire-turned-president can do with his money, as well as unlimited Federal resources. Don’t worry. The president won’t need to get his hands dirty, as there are many willing to do it for him. Frankly, the takedown of Schiff should have happened a few years ago. And here’s why. As they say in the theater, “the plot thickens”. This meeting sounds much like the Clinton-Lynch meeting on the tarmac where “golf and grandchildren” were discussed. Let’s see how Schiff and Simpson reconcile this meeting under the circumstances. The article continues how the two explained their meeting. Sure. Serendipitous. Particularly when plotters in a coup against the president meet. 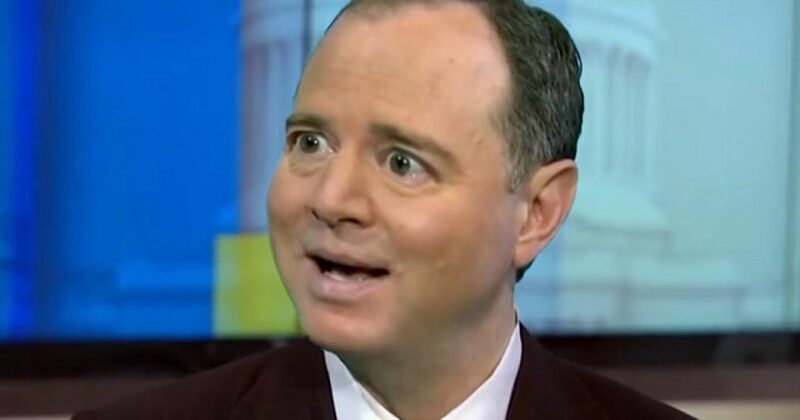 Schiff is known as “the leaker”. So what did he discuss? As the Left often say of President Trump, “Let’s see the transcript!”. Schiff may be the most partisan “political hack” the Democrats have. And he’s eaten more crow over the past 3 years in his pursuit of Donald Trump than a man should eat in 10 lifetimes. And he hasn’t stopped. What lengths is Schiff willing to go to save face? I say as low as necessary. He’s hit rock bottom and keeps digging. But don’t expect President Trump to let up on him. I wrote recently that the president has gone from prey to predator. The clock now ticks on Schiff, Mueller, and other crooked Democrats. Because Trump will deal with all the “political hack(s)”. Understand what Trump now has going for him. First, Trump has an exhausted public who wants something tangible or they will dismiss the chirping by Democrats. With this in mind, Democrats can’t go another two years looking for snipes. Second, Democrats underestimate Donald Trump. This comes from Democrats having far too much power for far too long. One would think that after all of Trump’s winning, Democrats would take him seriously. They seem to still believe they are dealing with an idiot. Third, Trump now knows and understands the Deep State. And because of that, he’s got forces at play undermining the Deep State. As shrewd a businessman as Trump is, one can only surmise he’s not taking the assault like a bumpkin. Fourth and finally, Trump has righteousness on his side. He hasn’t done anything, so attempts to prove otherwise make Democrats look desperate. And they are. If Democrats were smart, they would support the president. It’s the best thing for their party. But they have back themselves so closely in a corner, they have no way to escape. Schiff has no escape. He doesn’t realize he’s gotten too close to the person who now rules the plains. And Schiff will be roadkill by the end of the year. Expect to hear a lot more about this secret “serendipitous” meeting. Texas Republican who took over the Russia probe when Nunes recused himself, told Hill.TV.